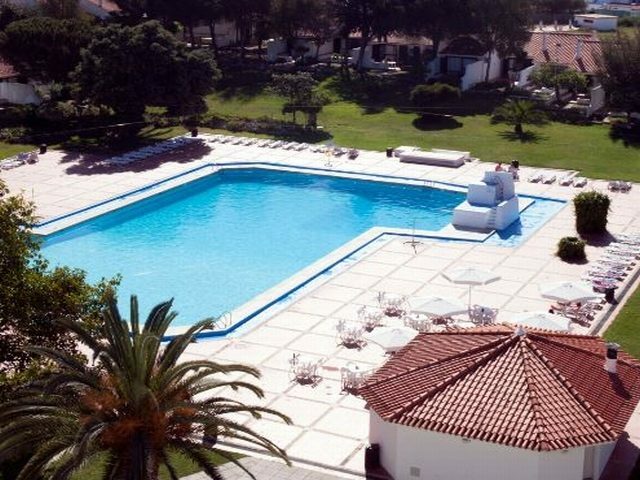 The Vilanova Resort is tucked away in lush, Albufeira gardens in the Algarve region. This great-value apartment complex boasts abundant facilities for a relaxing holiday. The sunny pool area is the star attraction during the daytime. The water's edge is lined with spacious sunbed-filled terraces, perfect for lazy days working on your tan. There are also plenty of shady spots in the garden to kickback with the latest best-seller. If you fancy a dip in the waves or an evening stroll along the sands, Oura Beach is just a short distance away. Challenge your partner to a game of tennis while the little ones join in activities and games at the mini club. 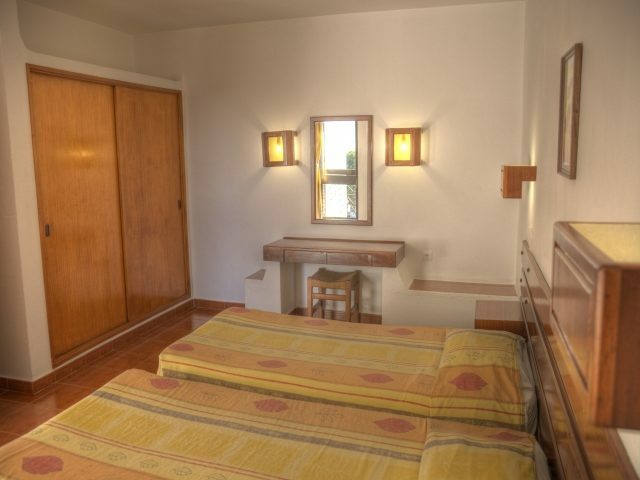 The apartments and rooms are modern and spacious and come with all the facilities you need to self-cater. From a microwave and fridge, to an electric kettle and toaster. Enjoy sea or pool views from your private balcony - ideal for watching the world go by. No need to wander too far from your sunbed for refreshments with a pool bar close at hand. Along with hot and cold beverages, you can buy light meals and snacks to ward off hunger pangs. The bars and restaurants of Albufeira are within walking distance for a change of scenery. Discover why the Vilanova Resort is a popular place to stay for holidays to Portugal. This complex has a total of 216 guest apartments and rooms. 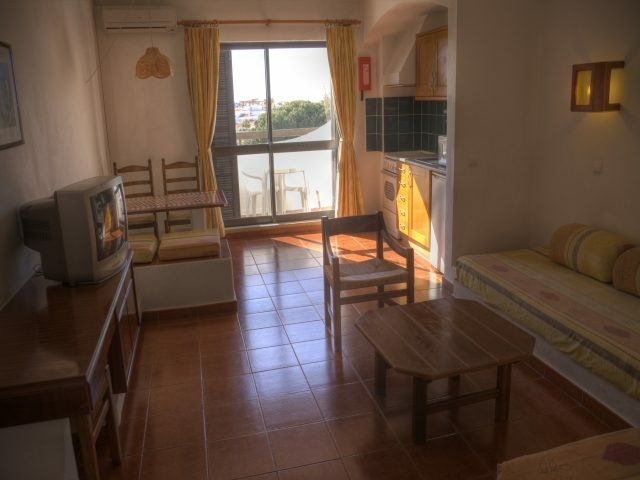 All feature internet access, satellite TV, air-conditioning, en-suite bathroom, tea/coffee making facilities, microwave, toaster, electric kettle, refrigerator, and balcony or terrace with pool or sea views. 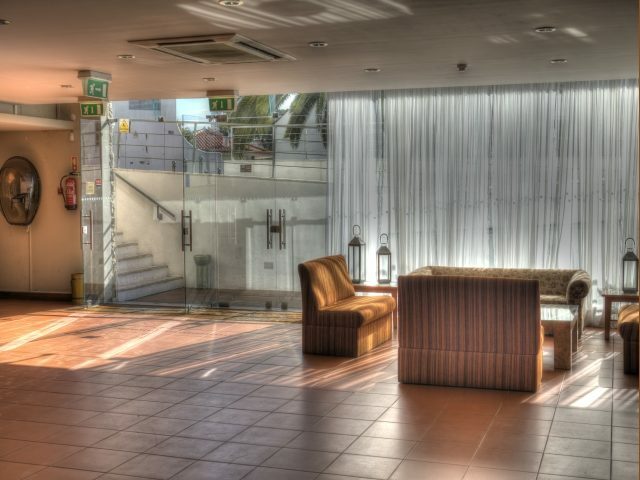 The hotel's Snack Bar or Central Bar is open from 09:00 to 20:00, depending on the season, where you can have light lunches and various snacks throughout the day next to the swimming pool.